For the treatment of crusty legs where the scales have become raised. Scaly Leg Mite is difficult to spot in the early stages. Check for the tell-tale signs of raised scales, which if left untreated will result in crusty, enlarged, rough and lumpy legs. Scaly leg mites live entirely on the bird and are contagious to other birds in the same quarters. They cause pain and extreme irritation as they burrow under the scales and into the skin of the legs and sometimes the comb and wattles. In severe cases of infestation, the birds find it difficult to walk and feet and legs may become severely deformed. For this reason we recommend you use scaly leg treatments as a deterrent as well as to treat an existing problem. We stock two natural treatment options: a spray oil and a balm. 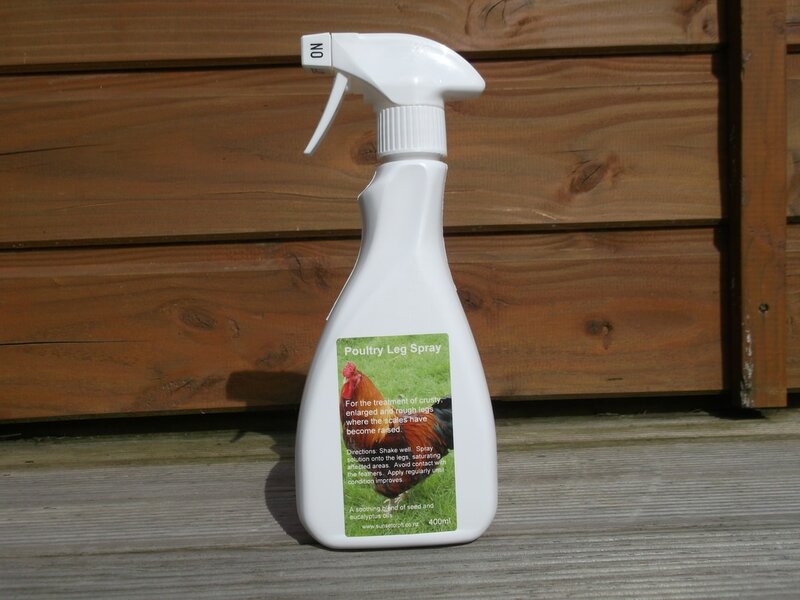 Poultry Leg Spray is a natural treatment for scaly leg mites and is suitable for all species of birds, including poultry, budgies and other domestic birds. The soothing blend of seed and eucalyptus oils suffocates the mites, relieves irritation and helps shed rough scales to restore clean, smooth legs. Spray the solution onto the legs, saturating affected areas. Avoid wetting feathers. Repeat often until condition improves. 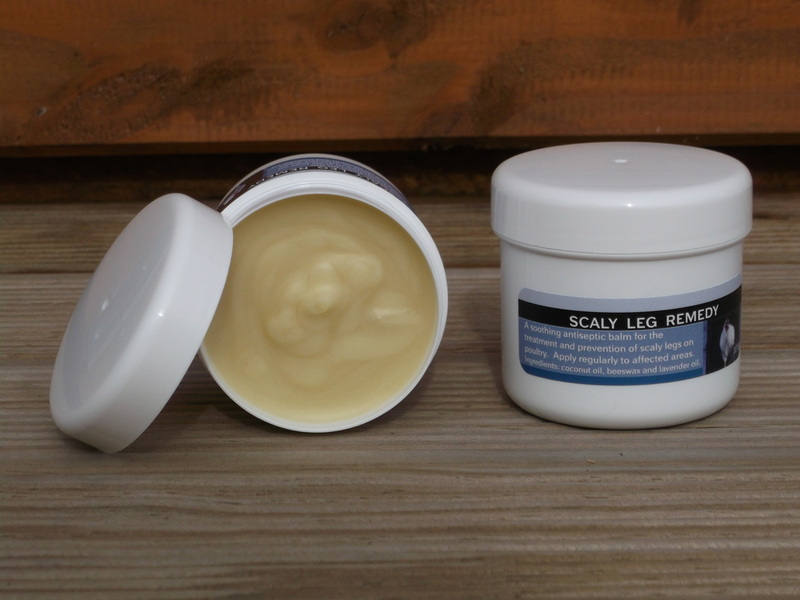 Scaly Leg Remedy is a pure and natural balm, produced using an organic blend of coconut oil, bees wax and lavender essential oil. Each of these ingredients possess powerful anti-bacterial, anti-inflammatory and antiseptic properties. Scaly Leg Remedy is easy to spread, as it melts with the warmth of your hand and works by smothering and suffocating the mites that lives beneath the leg scales. It soothes itching and forms a protective barrier to soften scales and encourage healing, while also holding in moisture and reducing dryness. Also suitable as a skin softener for humans to sooth dry lips, hands and feet.